Story Spinners of Grand Rapids have created an elementary program focusing on fables that they will present in addition to continued appearances at events like Festival of the Arts. To see the group's meeting and event schedule, click here. For more information, visit Story Spinners website or send them an email. 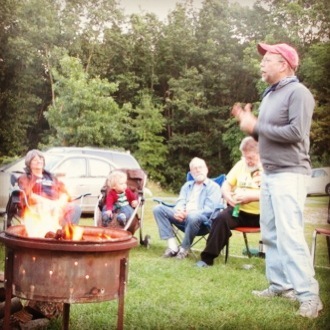 Every month, a group of enthusiastic individuals gathers in Grand Rapids to spin yarns and tell tall tales. Story Spinners of Grand Rapids share personal stories, fables, historical narratives, personal mementos and everything in between. They have been meeting for over four decades to share stories with each other and with interested listeners. 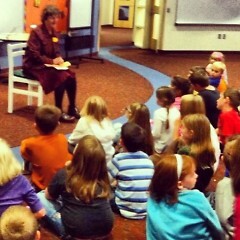 Gloria Cangelosi, a former Grand Rapids Public Schools teacher, has been a Story Spinner for 30 years. 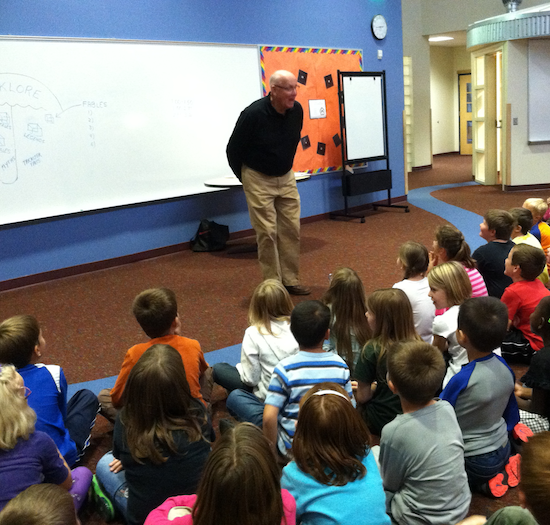 In 2013, Cangelosi retired from teaching and partnered with fellow Story Spinner Ed Boer to tell stories to second grade classrooms. In 40-minute presentations, Cangelosi teaches children the elements of a fable and Boer follows by demonstrating how to tell a fable. Presentations conclude with an assessment of what the children learned. Cangelosi says the response so far has been very favorable. The duo has presented in four Byron Center classrooms and at Shawmut Hills Elementary. Cangelosi says they hope to do presentations at East Leonard Elementary and Challenger Elementary in the future. Story Spinners also perform to age-diverse audiences at Festival of the Arts and have told stories at locations including the Grand Rapids Public Museum, Dog Story Theater and Blandford Nature Center. The nonprofit was founded 45 years ago by Master Arts Theatre director Pris McDonald and once boasted upwards of 40 members. The modern group, currently 12 members, holds open monthly meetings at Story Café on Leonard Street. Members are also available to perform at events for a nominal fee. Cangelosi says that the current group is “older” and needs some “young blood.” While school audiences receive stories gladly, adult audiences have dwindled since the group's inception. Cangelosi says she thinks all people, regardless of age, would enjoy participating in storytelling sessions if they gave it a try. For more information about the Story Spinners visit their website or send Gloria Cangelosi an email.